By special arrangement with leading publishers around the world, we are pleased to make some of our first edition titles available to a wider readership. We will add to this list of trade publications as they become available, so do check back. Please note that the editions below are available from the trade publisher of the edition (Ithys Press does not sell or distribute them) and may be purchased at bookshops and online retailers. Happy reading! The Cats of Copenhagen, translated by Celâl Üster (Hep Kitap: Istanbul 2016). The Cats of Copenhagen by James Joyce (Scribner 2012) with illustrations by Casey Sorrow and typography by Michael Caine. Finn’s Hotel by James Joyce (Psichogios Publications 2014). Hanul lui Finn, translated by Mihai Miroiu, published by Editura Rao (2014, 2018). Scribner / Simon & Schuster has just launched the first US edition of James Joyce’s The Cats of Copenhagen. We’re delighted that Scribner’s Cats — they’re more like kittens, really! — will reach a wide readership; something we, as a small fine-press simply aren’t geared up to do. Best of all, the Scribner edition features Michael Caine’s visually astonishing typography and Casey Sorrow’s wonderfully inventive illustrations, all in a compact little volume, just half the size of our own. Just released today, 24 October 2012: the Italian translation of James Joyce’s The Cats of Copenhagen in a fantastically colourful edition for children by Giunti Editore! I Gatti di Copenhagen is published by arrangement with Ithys Press and features all of Casey Sorrow’s original illustrations. Favoloso! Congratulations to Psichogios Publications on their launch of the first Greek translation of James Joyce’s The Cats of Copenhagen! Translated by George-Icaros Bampasakis and published by arrangement with Ithys Press, the Psichogios edition features the original illustrations by Casey Sorrow and Greek typography inspired by Michael Caine’s designs. The Psichogios edition is available in a trade hardcover and ebook. Gode nyheder! GYLDENDAL has brought out the first Danish translation of James Joyce’s ‘The Cats of Copenhagen’ in time for Christmas 2012. Gyldendal’s book for children, Københavnerkatte, is translated by Suzanne Brøgger, illustrated by Casey Sorrow, and beautifully designed by Maria Lundén for the Danish language in expressive typography inspired by Michael Caine’s original setting for our Ithys Press first edition. Congratulations to Hanser Verlag as they celebrate Bloomsday 2013 with the publication of Die Katzen Von Copenhagen by James Joyce. Harry Rowohlt (so much admired for his translations of A.A. Milne and Shel Silverstein) has provided the German translation of our Ithys Press edition, which is here accompanied by all new, wonderfully vivid illustrations by the incomparable Wolf Erlbruch. 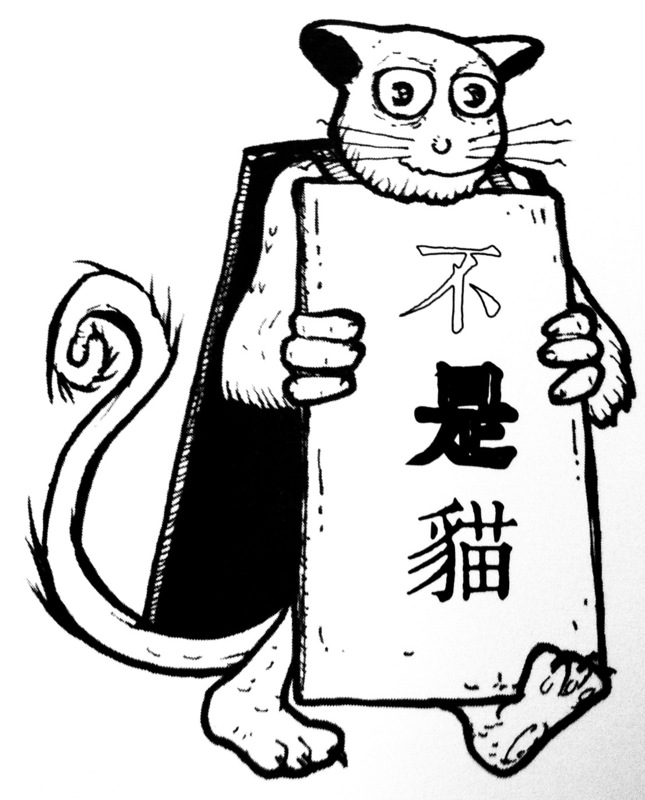 Chein Hsing Publishing of Taipei, Taiwan has released this September 2013 the first edition of The Cats of Copenhagen in Chinese translation in a beautifully produced edition featuring Casey Sorrow’s original illustrations. We’re delighted to announce that Albatros Media has launched their colourful edition, O kočkách a Kodani, in a Czech translation by Petr Eliáš, illustrated with Casey Sorrow’s original drawings. Congratulations to Editorial Losada on their recent release of Los Gatos de Copenhague, translated into Spanish by Pablo Ingberg. Ingberg’s translations of Joyce’s works include Exiles, A Portrait of the Artist as a Young Man, Giacomo Joyce, and Finn’s Hotel (Editorial Losada). Edicije Božičević of Zagreb has launched Mačke Kopenhagena, their Croatian translation of Joyce’s The Cats of Copenhagen, complete with colourised versions of Sorrow’s original illustrations. Congratulations to Hoogland & Van Klaveren on the publication of De Katten Van Kopenhagen, with illustrations by Wolf Erlbruch. We’re delighted to welcome another international edition: in November 2013, Grasset & Fasquelle launched Les Chats de Copenhague, in a fine French translation by Charles Dantzig. 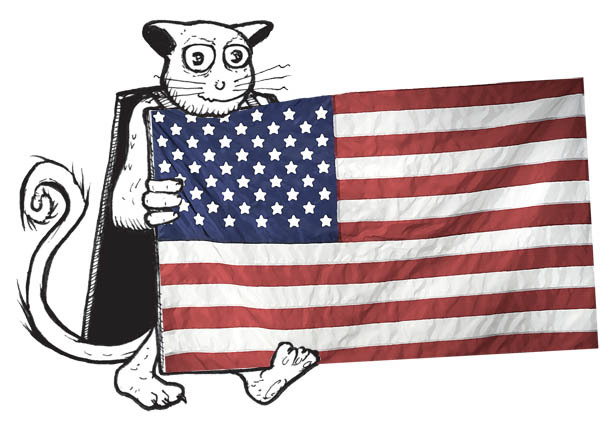 The Cats of Copenhagen is now available in Slovenian! 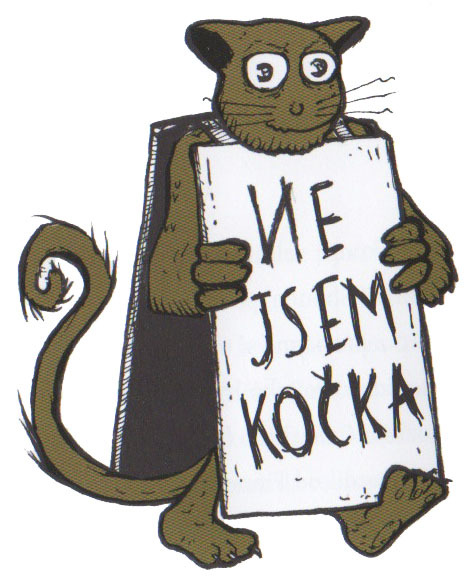 Totaliteta’s delightful edition of Mačke iz Kopenhagna is translated by Luka Novak and illustrated by Casey Sorrow. Congratulations to Hep Kitap of Istanbul who have brought out The Cats of Copenhagen in a new translation by Celâl Üster, featuring Casey Sorrow’s original illustrations. James Joyce’s Finn’s Hotel is now available in Spanish in an edition published by Editorial Losada of Buenos Aires, deftly translated by Pablo Ingberg and featuring Casey Sorrow’s original illustrations. Congratulations to Gallucci and translator, Ottavio Fatica on their launch of the Italian translation of James Joyce’s Finn’s Hotel, including Casey Sorrow’s artwork for the original Ithys Press edition. The production was featured in the Friday culture magazine of La Repubblica. Kudos to the team at Psichogios Publications! They have recently released their fully illustrated Greek translation of Finn’s Hotel: ΤΟ ΚΟΝΑΚΙ ΤΟΥ ΦΙΝ by ΤΖΕΪΜΣ ΤΖΟΪΣ translated and with an afterword by Γιώργος-Ίκαρος Μbαµbασάκης. Companhia das Letras celebrated the launch of their edition of Finn’s Hotel in Sao Paulo this Bloomsday. Caetano Waldrigues Galindo (who also translated Ulysses) said the language of Finn’s Hotel as some of the most beautiful, funniest and most touching in Joyce oeuvre and described his own work on this translation to be a joy without end. Suhrkamp Verlag adds Joyce’s Finn’s Hotel to their mighty list of English classics. The Suhrkamp edition is translated by Friedhelm Rathjen, winner of the Paul Celan Award for outstanding translation into German. Alles Gute! In October 2014, Random House, in association with Suhrkamp, launched Friedhelm Rathjen’s German translation of Finn’s Hotel in an audio book read by Burghart Klaussner. Thanks to Wydawnicza Foksal, Finn’s Hotel is now available in Polish in a brilliant translation by Jerzy Jarniewicz.